As a major component of design principle Typography has the power to carry an immense load. If done successfully it will speak both literally and figuratively to the viewer. Using a combination of hand lettering and Adobe Illustrator I am able to bring clients’ ideas to life. In conjunction with a customized Illustration the creative result is consistently one of a kind. Read below to learn more about each project. A commissioned piece featuring hand-lettered typography styled for a quote by the fabulous foodie Miss Julia Child. Julia was known for her love of baking, French cuisine and of course, cake. Poster and website showcasing concept art for a space-themed bar and arcade, Space Bar. To bring to life the clients’ funky futuristic vision, this customized project proudly boasted its bold colors, where no bar had gone before. Using retro style illustration and type design, I was also able to feature the puppy Astro, who belonged to the bar’s owner. In a near-future dystopia the economy is solely comprised of extreme wealth and poverty. 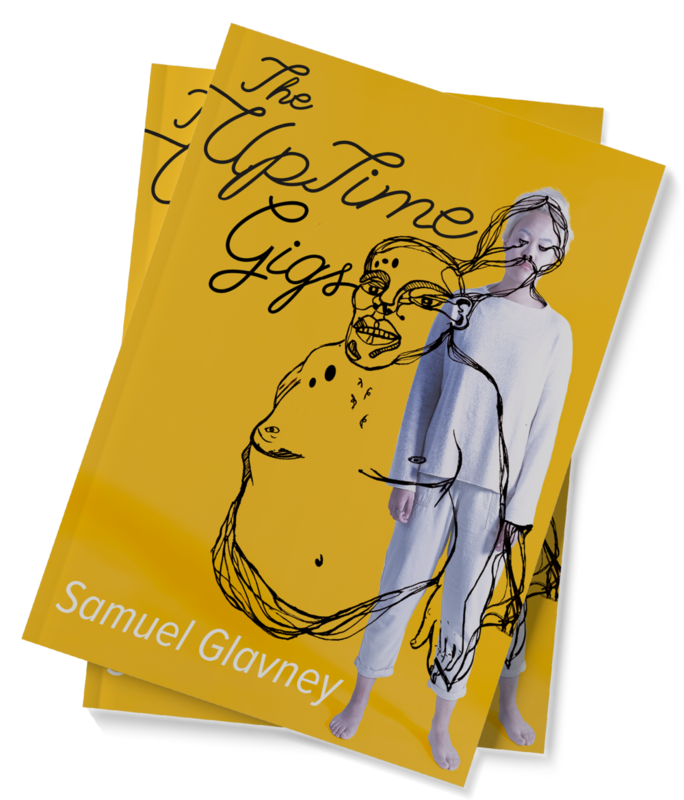 Author Samuel Glavney’s novel paints pictures of a world in which people can rent out their bodies by the hour, allowing distant customers to see through your eyes, speak through your mouth and work through your hands. In an effort to stress the dangers of texting and driving the FACE IT guerrilla marketing campaign was conceived. Its mission was to steal the attention of those otherwise glued to their mobile devices and particularly drivers. 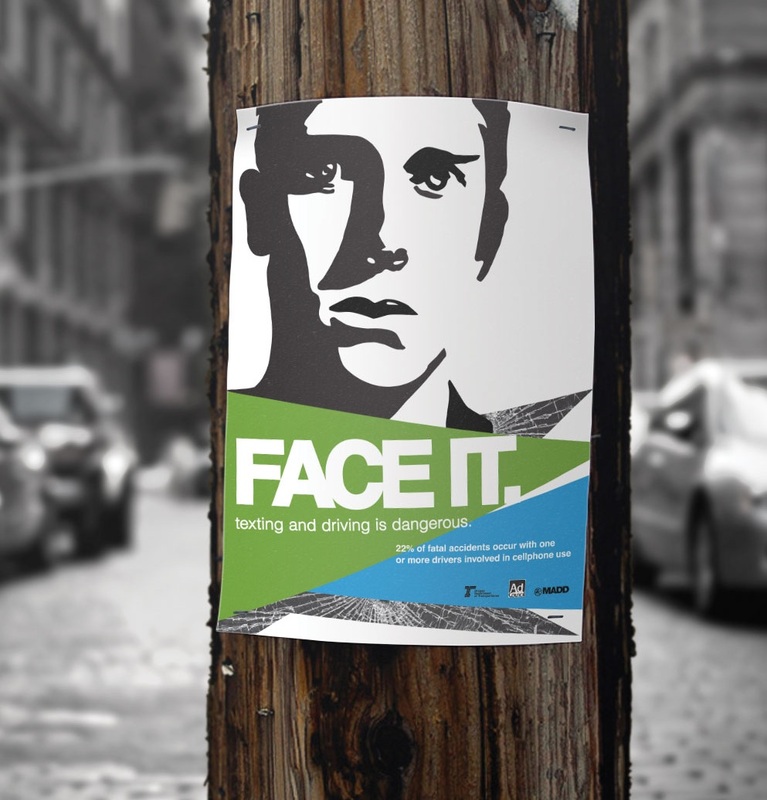 High-contrast portraits help to cultivate a dramatic story between the two subjects and give a “face” to those involved in texting and driving accidents. Fueled by joy and curiosity, Fresh Licks is a designer headphone brand that appeals to the playfulness in all of us. By offering customers the option to upload custom textures, photos, and prints online, each person receives a pair of headphones as unique as the individual sporting them. This brand features a custom illustrated pattern and hand-drawn type rendered digitally.